HSU journalism major Anthony Flucker pinch hits at African American Community Reception. The DJ dropped out. Only 20 more minute and the event has to begin. But Anthony Flucker, 20, a journalism major does not worry. He has a network of friends and connections he can rely on. And those are benefits he wants to share with his community. HSU’s African American community gathered in the Kate Buchanan Room on Oct. 3. The purpose of the titled African American Community Reception was to build a sense of community, start friendships and let the hundred or so participants get to know helpful faculty members. The event was sponsored by Humboldt State’s Multicultural Center with the intent of bringing in the African American community into a more unified base. One of a series of many events held to bring students closer together. “There are events for everybody, but we try to get freshmen and first-year students involved as soon as possible,” said Mona Mazzotti, one of the event planners. “Because of the new electronic sign-in equipment implemented, I don’t have a clear idea of the specific attendance but I believe our events have been well-attended,” she said. Flucker, African American Community Building Coordinator, spoke to students about forming a sense of community and being happy with who you are. Flucker also discussed some of the obstacles facing the African American community on campus. Flucker showed commitment to his position as a coordinator by arduously organizing and improvising on solutions to some problems that were presented before the reception took place. The event had a warm welcoming committee composed of faculty. The committee greeted attendants as they walked through the door. The faculty introduced themselves and made sure attendants knew they can count on them anytime they need help. The attendants participated in icebreaking activities. In one the attendants had to choose between two interests and go to the right or left side of the room depending on their pick. These included music, dress style, celebrities or dishes. Participants then introduced themselves to a new person and talked about their common interests. “Every single person in here has something in common with someone else, one thing that for sure we have in common is that we love ourselves, we love us and we need to think about that. That is the plan for the day,” said Flucker. Stereotypes and solutions to this problem were discussed with great participation from the audience and faculty who encouraged students to take helpful courses they offered on campus that dealt with such matters. Dinner was provided to the attendants courtesy of Mazzotti’s Italian restaurant. Attendants had a choice between vegan spaghetti, fried chicken or Pizza and treats such as peach cobbler and sweet potato pie. During the dinner time attendants got to know one another and enjoy the music. “Tonight’s event was very helpful,” said attendant Brianna Boyd, 20, an anthropology major who also is treasurer of the Black Student Union. “A lot of people didn’t even know there were other black students on campus, everyone is getting to meet new people, make connections and meet the faculty as well, I hope we have more events like this,” she said. This reaction was not unique as everybody seemed to enjoy new company. 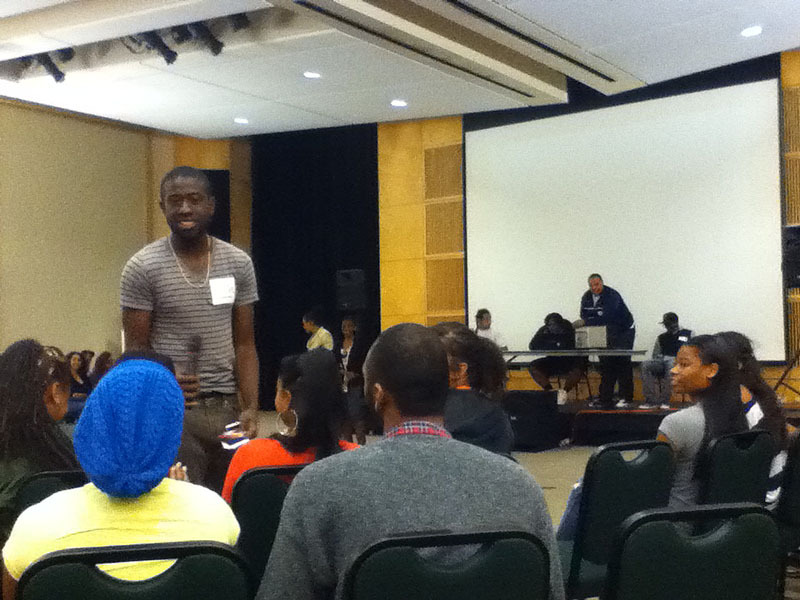 “I would like to meet every black student on campus,” said Job René, 18, an undeclared major. Flucker was satisfied with the night’s event. “The attendance was smaller than expected but I feel that those who did come got a lot out of it,” he said. Flucker encouraged the African American community to participate in more of its coming events. 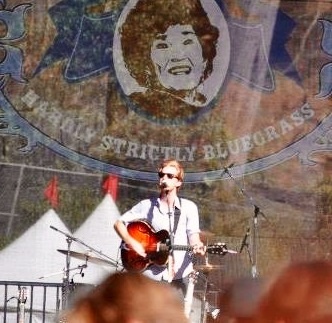 The Lumineers play at the Hardly Strictly Bluegrass Festival in San Francisco. An ocean of humanity filled the park, reclining on colorful blankets, dancing to the blaring panoply of music, or hanging from the trees. It seemed the entire city of San Francisco had convened in Golden Gate Park for the Hardly Strictly Bluegrass Festival, held Oct. 5-7. Music lovers and festival goers alike crowded the park, attending concerts by dozens of bluegrass, folk, and rock artists. HSB, as many of the insiders call it, was the brainchild of Warren Hellman. The billionaire investment banker created the event out of his affection for the genre. The festival has been an annual event in San Francisco since 2001. Initially known as the Strictly Bluegrass Festival, the increasing musical diversity of subsequent years inspired the addition of ‘Hardly’. In recent years, the festival has exploded in popularity, drawing over 750,000 people a year. John, Jenny, and Nate, living in San Francisco, were among the crowd anticipating the performance of The Heartless Bastards. Amidst the roaring sea of people the band could be heard performing sound checks on stage. “Any excuse to hang out with friends,” Nate added. As the interview was wrapping up, the Heartless Bastards began to play their set. A preemptive strum of the guitar ushered a cheering response from the crowd. The festival was alive as ever. Sounds from both across the country and through the generations mingled through the trees of the park; each stage drawing its own respectable crowd and streaming it’s own, unique, sound. Dylan Keel and Natalie Williams gave their reasons to going to HSB. “We’ve been going for years now, and it’s a bit of a tradition,” Keel said. Williams added that it is a great time to meet up with old friends. 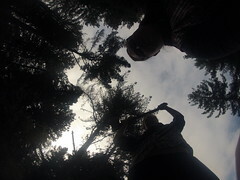 This most recent outing had been their fifth consecutive year going to the festival and, to them, it is as good as ever. Keel and Williams managed to listen to a number of sets during their time at HSB, listing off a number of bands. Of course, there were many acts that stood out amongst the others. “I remember the first couple times we would go– we never even sat down all three days. We would run from stage to stage to stage to stage to stage and it probably had something to do with all of the bands we wanted to see at different stages at different times but we would sprint and do cartwheels from stage to stage,” Keel said. 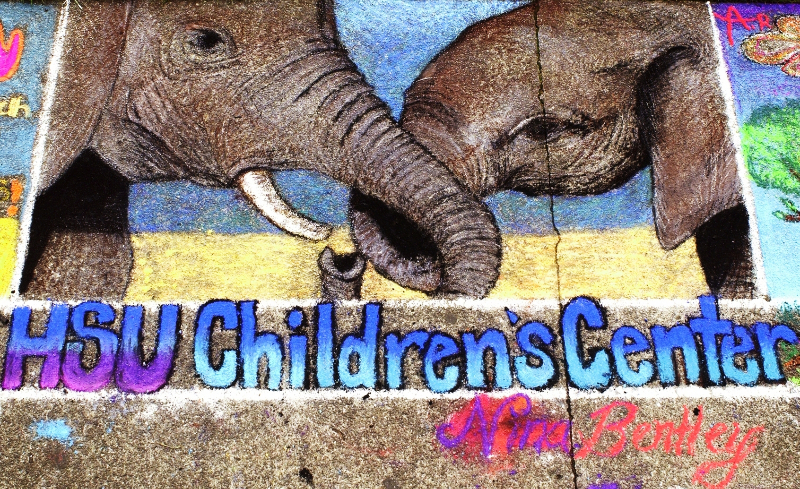 This pastel artwork advertised the HSU Children’s Center. Artists from all over Humboldt County descended on the Arcata Plaza sidewalk. Their hands were filled with pastels to draw original art for local business in the annual Pastels on the Plaza. That’s how the artists begin filling the sidewalk with beautiful art. The event, complete with live music, draws people from all over Humboldt as viewers, shoppers, sponsors and artists. This year’s event took place Saturday, Oct. 6. The event is sponsored by local business and runs at the same time as the weekly farmers market. Janet Arnot, a 22-year volunteer for Northcoast Children’s Services, helped run the pastel table with a variety of community members for the event as one of NCS’s major fundraisers. This table is where artists obtain the pastels for their art. NCS provides the pastels and mailing from part of the donations received from art sponsors, and they also photograph all the squares. Arnot explained that the sponsors of the event are members of the community and local businesses who each purchase a square, ranging from three to six feet. The sponsor then assigns artists to draw their art on a section of sidewalk. Arnot said that everyone wins in Pastels In the Plaza. Nina Bentley is one of many talented artists drawing on the plaza sidewalk. She has been doing pastels on the plaza for about seven years. While she was at Humboldt State University the child development department asked her to draw. NCS asks local artists to draw for some local business that don’t have artists. “I usually throw my name the a hat, that way it’s easy,” Bently said. This time she was selected to draw for The Rocking Horse, a local children’s store in the Jacoby Store House that specializes in naturally made toys and cloths. The Picture Bently skillfully drew of two hugging elephants was a rendition of a photograph she brought. Portia Bramble, executive director director of the North Coast Growers Organization runs the Farmers Market portion of the events that help attract the mass of people to Pastels on the Plaza. The produce providers become members if the organization and pay a weekly fee to sell their freshest of food directly to customers from their space. There is a chronological seniority among the farmers that is used when there are not enough spots for everyone on the plaza. The sellers change seasonally and from week to week. Certain members have been participating from the beginning of the organization over 34 years ago. Bramble said that the atmosphere completely changes during Pastels on the plaza, as frustrating as the change might be, everyone enjoys the event and it’s a nice complement. The focus is usually the art in the mornings and in the afternoons goes to the farmers. The weekly farmers market happens rain or shine. “We’re farmers, we’re hearty,” Bramble said. Lauren Ballard selects produce at a local farmers market in the Wildberries’ parking lot. A potent, sweet smell of ripe fruit wafted from the parking lot of Wildberries Marketplace and into the noses of passersby who became eager to taste this delectable scent. Like bloodhounds on the trail of a deer, pedestrians were lead to a farm stand with bright strawberries overflowing from baskets. With their pallets satisfied from a juicy sensation, consumers were finally able to take in a weekly farmers market in downtown Arcata. Wildberries Farmers Market occurs every Tuesday of the week from 3:30-6:30 p.m. It is an opportunity for farmers who are part of the Northwest Growers Association to sell their produce. 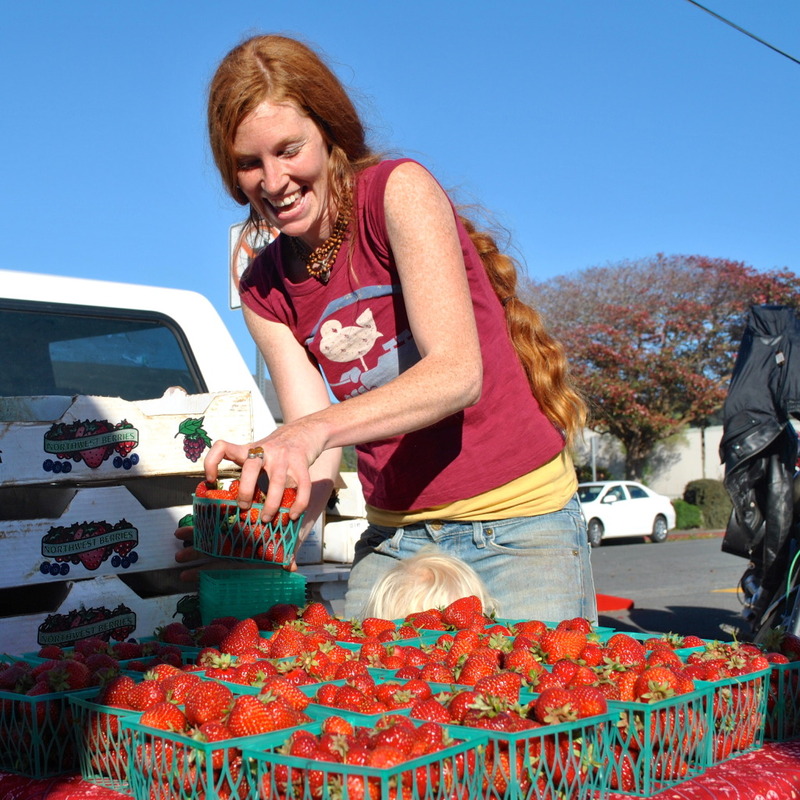 Lauren Ballard, a vendor of goods like sweet strawberries and onions the size of softballs, takes advantage of the market. Wildberries Farmers Market grabs the attention of pedestrians walking by with its intriguing sounds of independent artists and colorful displays of goods. Jacklyn Salgado, a marine biology major at Humboldt State University, was drawn to the market on her way past. Wildberries Farmers Market bring people out to experience farmers markets on a weekday. It also offers a place for produce exclusive to the area to become acquaintances with customers. Doug Kelley, a former graduate of HSU, sells rich salsa ingredients. One of his favorite tomatoes is among them. Kelley has free recipes and free smiles to offer. John McClurg of Fire and Light. When one thinks of Humboldt State University, they think the slogan “Going Green.” Not only is HSU known for being a leader with waste reduction, but so is its local college town of Arcata. However, this didn’t just happen over night. The Arcata Recycling Center has been recycling for 40 years and up until recently it was the oldest in the nation. Back then, because it was the only recycling center in northern California, everything that was recycled had to be shipped out of the area, which wasn’t cheap. Thirty local Arcadians got together to brainstorm how to save money and what to do with some recyclables. Fire and Light, a company that takes recycled glass bottles and transforms them into reusable hand blown glass, was born. For the past 16 years, Fire and Light has put on a charity event where all items are marked down and a certain amount is donated to KEET TV. 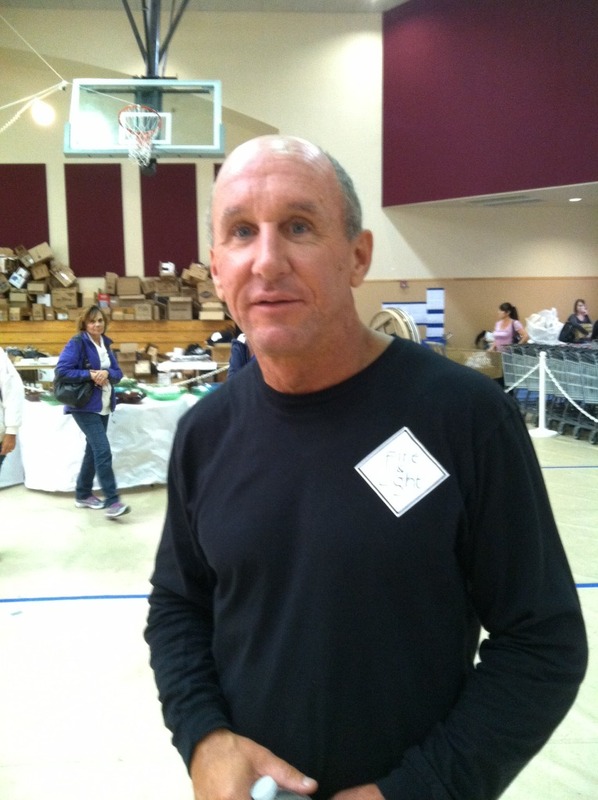 “We’ve donated to KEET the last three or four years,” CEO John McClurg explained. “Our first sale was in 1996 where we started out with just one table, and today we had more than one thousand people here,” McClurg stated. 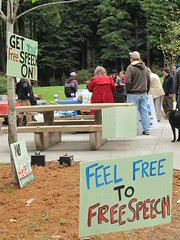 There were roughly 75 tables set up in the Arcata Community Center Saturday, Oct. 13. They were filled with a vast variety of colorful, shiny glass objects such as hearts and bowls. “A lot of my friends compliment me on my Fire and Light bowls,” she added. The process to get these pretty glass products isn’t an easy one though. “From start to finish it takes two and a half days,” said McClurg. It starts with clear bottled glass (usually bought from a recycling center) and after its crushed and weighed, minerals are added to get all the different colors. At 4:30 every afternoon the process begins of heating, molding, texturizing and shaping the glass through a furnace that reaches all the way up to 2400 degrees. After the glass is cooled and ready, a quality control inspector inspects the glass items and boxes them up so that they’re ready to be shipped wherever there final destination is. “Many people are involved and put in hard work everyday to create such beautiful creations,” said McClurg. At Fire and Light, they’re proud of their product and encourage everyone to join their annual event. 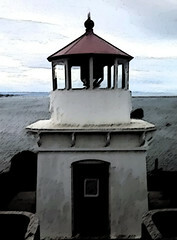 To find out more about Fire and Light, visit its website, fireandlight.com.